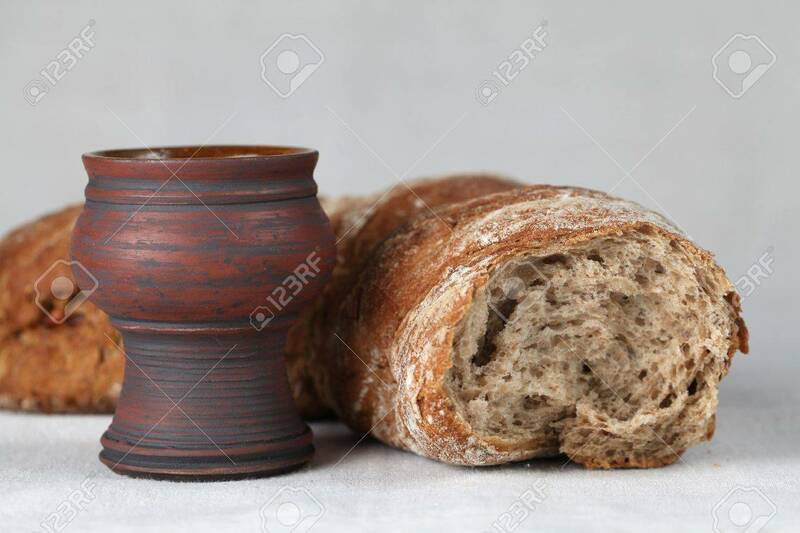 Chalice With Red Wine And Bread In Background. Shallow Dof, Copy.. Stock Photo, Picture And Royalty Free Image. Image 8201104.